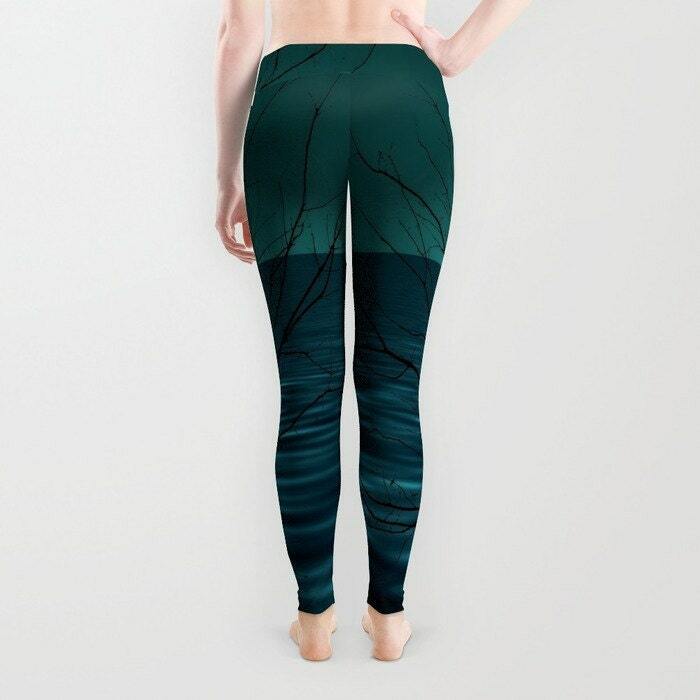 Unique and absolutely stunning leggings custom printed/sewn featuring a beautiful image of a tree in the ocean in vivid blue/green colors. A beautiful piece of wearable art. Only available to purchase from my online stores. Perfect gift to yourself or people you love. - Adjustable waist line for wearing high, low or somewhere in between. - Using the highest quality anti-microbial polyester spandex material. 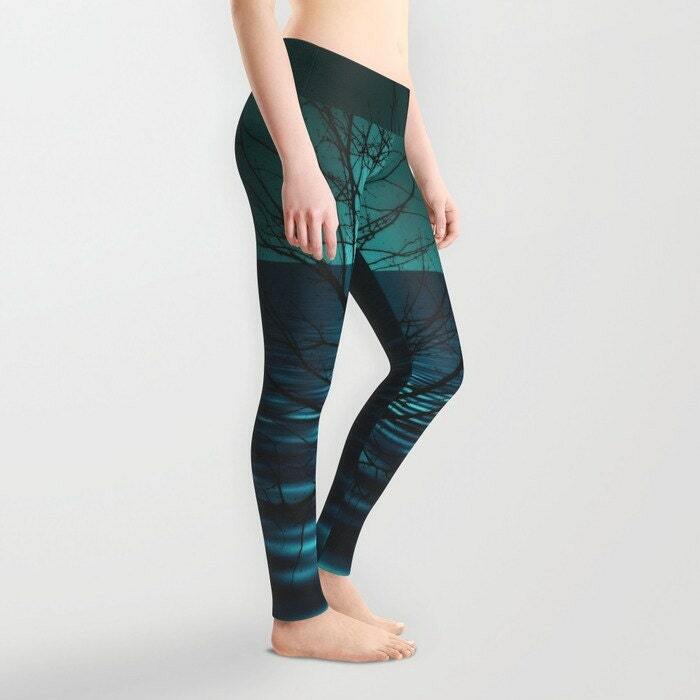 - My premium leggings wick moisture and remain breathable, making them perfect for everyday wear, running, yoga or any other sport activities. X-Small - Waist: 27.5" - Inseam: 32.75" - Leg Opening: 8"
Small - Waist: 29.5" - Inseam: 33.25" - Leg Opening: 8.5"
Medium - Waist: 31.5" - Inseam: 34.25" - Leg Opening: 9"
Large - Waist: 33.5" - Inseam: 34.75" - Leg Opening: 9.5"
X-Large - Waist: 35.5" - Inseam: 35.25" - Leg Opening: 10"